This anime is amazing. Eat it, and prepare your underwear. WARNING! MAY CAUSE WEIGHT GAIN!! This is a great anime to watch! It's very true to the manga and the quality is great for the anime, top notch! Very great comedy and the way the animate and draw the reactions and food! I find myself eating every time I watch this show.....So be warned!!! If you're like me, don't binge watch this anime otherwise you'll find yourself eating ALL DAY! I feel like I gain a few pounds per episode- I can't help it since this show makes the cooking look so damn good! I recommend watching a sports anime after to counter the effects like Eyes Shield 21, or Hajime no Ippo to motivate you to work out afterwards. Great anime! You won't be bored or disappointed! THE PERFECT BLEND OF ACTION, FUNNY, AND FOOD! This anime is truly amazing!!! I really love the story and the amount of action is in this anime. Of course I didn't have any expectations when I first started watching. I always thought this anime was going to bore me, but boy was I wrong. This anime did the exact opposite! This anime hooked me in and I can't stop watching and I'm seeking for the new episode almost everyday! 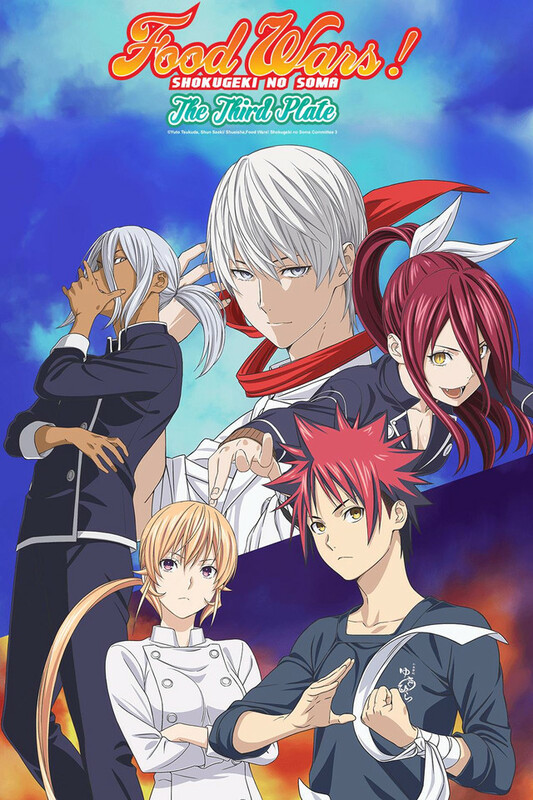 I REALLY RECOMMEND THIS ANIME TO PEOPLE WHO LIKE ACTION, FUNNY ,AND FOOODDD!! This series is great so far, I have enjoyed the manga since I picked it up a couple months ago and this anime is doing it a great service. The animation is great and the characters are fun and interesting, unfortunately the story starts off with the fan service being rather heavy handed to hook people in and get them interested in the story and characters, it does become more tolerable as the series goes on but if you can't handle the first 3 episodes than it might be best to just move on. Still it is worth a look and if you can stomach the fan service you may be able to see just how great this story gets further down the road. Yes the foodgasms are a little too intense sometimes but it tones down for the most part later in the series, at least it did in the manga.